I am in the process of transferring my blog to my own website from Blogspot. The old blog will not be deleted but hopefully all the old posts will be transferred to the new site. However there are, at present, 2646 posts built up over more than a decade and it is a mammoth undertaking. Why have I decided to set up on my own website? 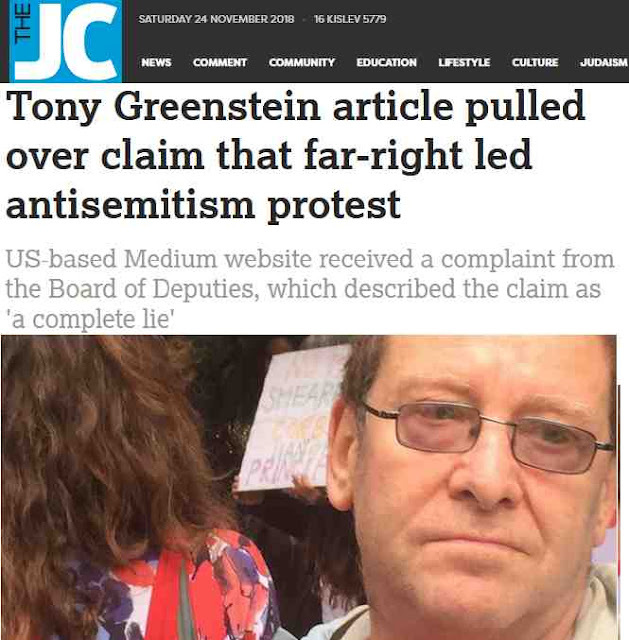 Because recently my blog on Medium, which had been there for over a year, was removed after the Zionist Board of Deputies complained at my reporting of how their ‘anti-racist’ demonstration in Manchester was organised by a group, NW Friends of Israel who have worked with the EDL and now Tommy Robinson. Being an unaccountable corporation Medium simply removed my blog. 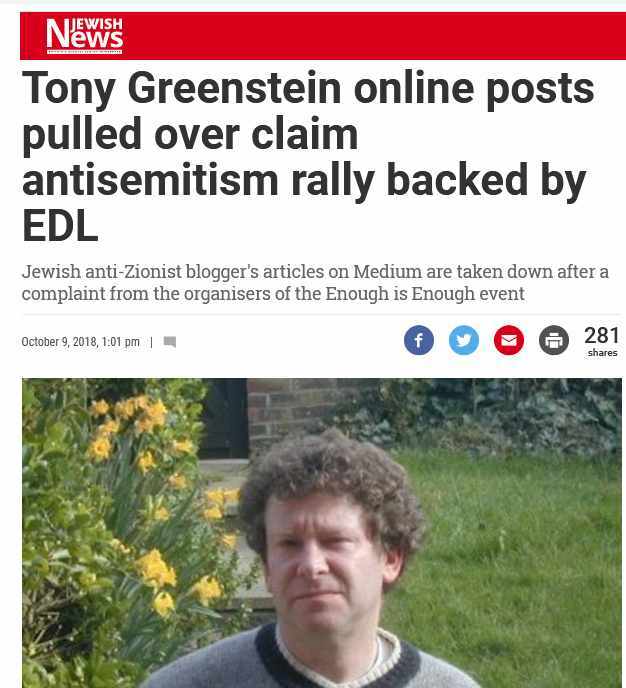 They had previously deleted a post which named 30 Zionist fascists because they held that fascists should not be targeted. In the interim I will be blogging less often, not least because I have a major hearing in my libel case against the Campaign Against Anti-Semitism on February 14th.